Documentation. The metric the United States government uses to determine a person’s rights within the U.S. Here is a story of a U alumna who has had first-hand experience. Ciriac Alvarez Valle was born in Mexico and was five when she immigrated to Utah for better opportunities with her family. “I remember the kind of humiliation my parents faced and the kind of jobs they held to provide for the family and opportunities for my siblings and I,” said Alvarez Valle. Her parents’ sacrifice and high expectations of her is what influences her to follow her ambitions of higher education — something her parents were not able to do. Alvarez Valle earned two Bachelor of Science degrees in Political Science and Sociology from the University of Utah on May 2017 with the help of Deferred Action for Childhood Arrivals (DACA). Only a few months after her graduation, the United States administration rescinded DACA. Having been given restricted rights to pursue her dreams, and then to have it all taken away again, refueled Alvarez Valle’s commitment to immigrant rights. People support legal immigration without understanding everyone can’t migrate legally. Since the rescission, Alvarez Valle has organized multiple petitions, vigils, phone banks, marches & rallies to get the attention of Utah Members of Congress. She has even taken her fight to Washington, D.C. several times to speak with Utah representatives to pass a clean Dream Act; a permanent solution for youth to earn their citizenship. However, her fight is much larger than just rights for young people. 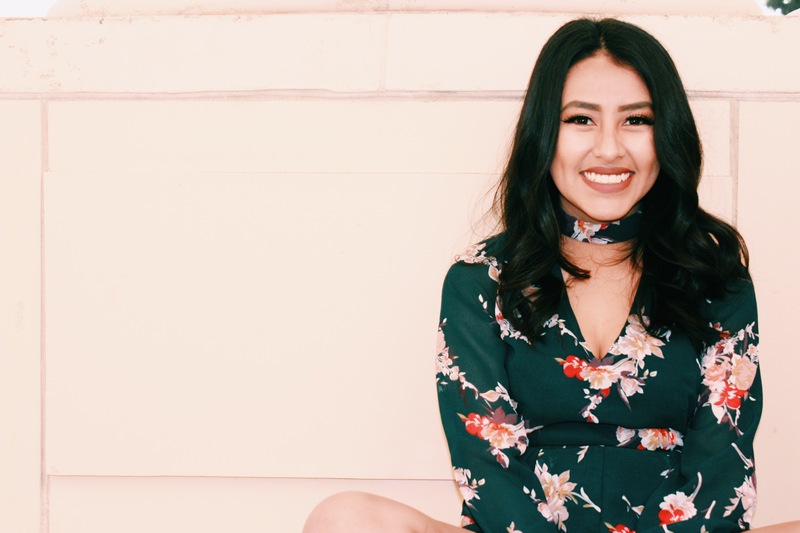 Alvarez Valle is planning on attending graduate school soon and would like to continue her professional dreams of non-profit and human rights work, with her parents alongside her. “For me it’s not just about gaining citizenship for DACA recipients, even if the DREAM act passes I would still fight for the rest of the undocumented and immigrant community, such as my family and parents,” said Alvarez Valle. Even if the DREAM act passes I would still fight for the rest of the undocumented and immigrant community, such as my family and parents. Alvarez Valle urges everyone to continue calling their representatives to pass a legislation in favor of immigrant youth and families. Despite her continued fight, Alvarez Valle realizes that the rejection of a clean Dream Act is a real possibility. In case the legislation does not pass, Alvarez Valle wants her immigrant community to know they are beautiful and resilient and will get through this as well. Alvarez Valle would like her community to know that having citizenship would be great, but it does not erase the fact that they have always had inherent human rights.